Mrs. Falconer was the first Executive Director to set up the Data Protection Commission of Ghana and facilitated the implementation of Ghana’s Data Protection Act until her exit in July 2017. 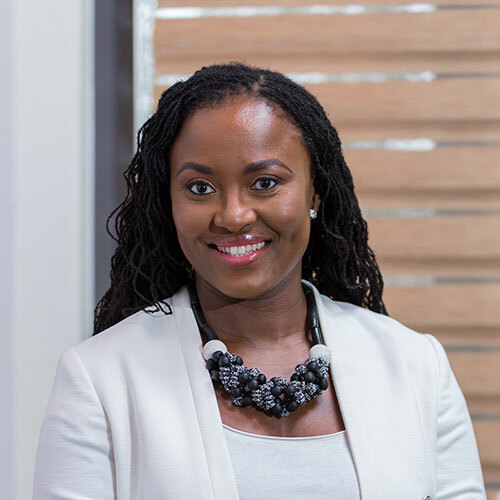 She is a Senior Partner at Nsiah Akuetteh & Co. a law firm based in Accra, Ghana that specialises in information technology and telecommunication law in Africa. She is a privacy and data protection consultant and has previously worked for the Government of Ghana in the development of several key legislations for the ICT sector including the Data Protection Act, 2012 (Act 843), Electronic Communications Act, 2008 (Act 775) and Electronic Transactions Act, 2012 (Act 772). She has also worked in various capacities with regional bodies such as ECOWAS. She is member of the UN Global Pulse Privacy Advisory Group and a member of advisory committee for the 40th International Conference of Data Protection and Privacy Commissioners. She holds an LLM in Information Technology and Telecommunications Law from the University of Strathclyde, Glasgow – Scotland and a Bachelor of Arts in Law and Political Science from the University of Ghana (Legon), Accra – Ghana.